We present results of pulse NMR investigations of superfluid A-like phase of 3He in stretched aerogel. In this case we have anisotropic orbital glass (OG) with two possible types of ordering in spin space—ordered spin nematic (OG-SN) or disordered spin glass (OG-SG) states. 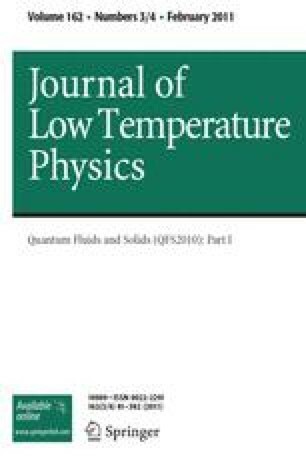 It was found that longitudinal relaxation of magnetization is non-exponential in both states and depends on temperature and on inhomogeneity of external steady magnetic field. At the same conditions the relaxation in OG-SG state is more rapid than in OG-SN state. For transverse orientation of the magnetic field relative to anisotropy axis the duration of free induction decay signal was longer than in normal phase. It may be explained by formation of coherently precessing spin state.